The ban on e-cigarettes has at the time of writing been in effect for four months in New York. The vote would be seemed to be passed by 43-8. This makes it one of the municipalities which have the toughest stance on smoking. And also one of the healthiest? Well it's so early to say what the results of the e-cig ban will be. It all started last December when news of this bill was first announced. Maybe a reason behind the e-cigarette ban comes from a description of e-cigs from the newspaper article. "Long tubes..." it says, "...with nicotine liquid with flavours such as bubble gum and bacon." Probably the most left-field description of electronic cigarettes I've found! Smoking e-cigarettes is now banned everywhere that regular smoking is banned-including office buildings, bars and even beaches. 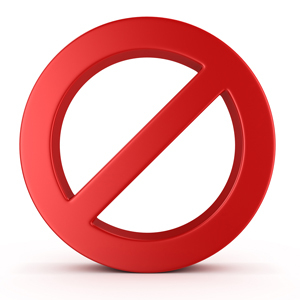 More information about ban on electronic cigarettes in Australia can be found here. Anyone can be fined $200-$400 for breaching the ban. A special group was reported as lobbying the act. It should come as no surprise that they were called the New York Citizens Lobbying Against Smoker Harrassment or CLASH for short. Note they call themselves smokers, not vapers despite a protest beinyg called a vape-in. There are however complaining about the act being called a smoke-free instead of a vape-free one. Cries during this vape-in, which resembled a sit in included overexcited cries of "Illegal smoking, woo!" and "Outlaw" while smoking e-cigarettes. The vape-in was performed in a bar. Also included in the legislation was that retailers cannot sell e-cigarettes to under 21 year old, as well as removing vending machines. It was one of the last pieces of law passed by Mayor Bloomberg. There was a protest against the electronic cigarette ban at New York's City Hall with signs such as "Vapour is not smoke" and more cries, this time saying things like "Let us decide for ourselves," at least according to reports. They seem to be blaming the problems of the government-the "big brother" as they called it on the signs. As the cliché goes after all, you can't fight City Hall. Despite the ban a number of Vape shops have opened in the city. Understandably most of these are in Manhattan (including SoHo) though there was one in Queens and two in Brooklyn. It doesn't affect how a Vape shop operates: they are exempt from the law. Of course the e-cigarette companies don't want cities or state authorities prejudging the results of various studies. Finally a number of scientists who studied in New York City have stated their opinions on e-cigs. Dr Edelman who studies medicine at the State University at New York says all food and drug products, including the infamous e-cigarettes should be run by the US Food and Drug Administration. Speaking against the legislation, one commenter said that E-cigarettes versus cigarettes has been called "a little poison vs. a lot (of poison)". This was Dr Hyland at the Roswell Park Cancer Institute in New York. Maybe other authorities in the US will go the same way?